Playing the occasional game on a show is a good thing. It’s even better when it has two elements: it’s vicarious (listeners can play along in the car as they’re driving to work) and it’s strategic (its purpose is to have fun, earn another critical image, and/or define the cast). 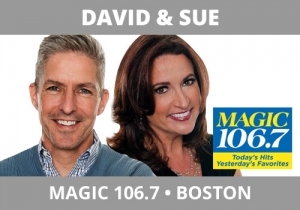 There are many ways a cast can do character development, but the game Truth Be Told, as done by David, Sue, and Kendra, Magic 106.7, Boston, is the cleanest and most efficient we’ve heard. There are a few versions of this game (i.e. Two Lies and a Truth), but listen to how this team executes the game so fans driving (who just woke up and don’t have a great capacity to follow along with deep stories) can easy understand what they’re doing. Each cast member offers a one sentence story to the caller (one sentence is highly digestible), then the listener chooses which story is true (with people in cars doing the same). Then the fuller story is told – defining that cast member, earning the additional image of fun for listeners just tuning in to be put in a good mood.